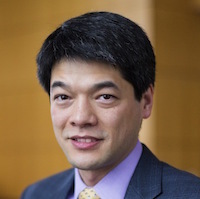 Kevin Fu is Associate Professor of Electrical Engineering and Computer Science at the University of Michigan where he directs the Archimedes Center for Medical Device Security and the Security and Privacy Research Group. His research investigates how to achieve trustworthy computing on embedded devices with application to health care, commerce, and communication. His participation in the provocative 2008 research paper analyzing the security of a pacemaker/defibrillator led to a watershed moment in cybersecurity for medical device manufacturing and regulatory science. Prof. Fu received his Ph.D. in EECS from MIT where his doctoral research pertained to secure storage and web authentication. Fu received a Sloan Research Fellowship, NSF CAREER award, Fed100 Award, and best paper awards from various academic silos of computing. The research is featured in critical articles by the NYT, WSJ, and NPR. Kevin was named MIT Technology Review TR35 Innovator of the Year for work on medical device security. Kevin has testified in Congress on health matters and has written commissioned work for the Institute of Medicine of the National Academies. He served as a visiting scientist at the Food & Drug Administration, the Beth Israel Deaconess Medical Center of Harvard Medical School, Microsoft Research, and MIT CSAIL. Previous employers include Bellcore, Cisco Systems, HP Labs, and Holland Community Hospital. He is a member of the ACM Committee on Computers and Public Policy and the NIST Information Security and Privacy Advisory Board. He is a principal investigator of Trustworthy Health & Wellness. Prior to joining Michigan, he served on the faculty at UMass Amherst. Kevin also holds a certificate of achievement in artisanal bread making from the French Culinary Institute. Dr. Nadya T. Bliss is the Director of the Global Security Initiative (GSI) at Arizona State University. GSI serves as the university-wide hub addressing emerging security challenges, including borderless threats (cyber security, health security, and resource security). These challenges are often characterized by complex interdependencies and present conflicting objectives requiring multi-disciplinary research and cross-mission collaboration. 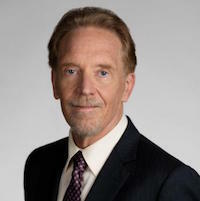 Prior to taking on the GSI role, Dr. Bliss served as the Assistant Vice President, Research Strategy in the Office of Knowledge Enterprise Development. Dr. Bliss holds a Professor of Practice appointment (and is a member of Graduate Faculty) in the School of Computing, Informatics, and Decision Systems Engineering; Senior Sustainability Scientist appointment in the Julie Ann Wrigley Global Institute of Sustainability; and affiliate appointments in the School for Future of Innovation in Society, the Center on the Future of War (collaboration between ASU and New America), and the Simon A. Levin Mathematical, Computational and Modeling Sciences Center. Dr. Bliss is also a Senior Fellow at New America. Before joining ASU in 2012, Dr. Bliss spent 10 years at MIT Lincoln Laboratory, most recently as the Group Leader of the Computing and Analytics Group. 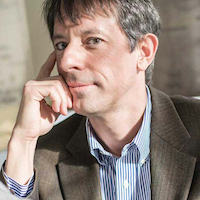 In 2003, Dr. Lopresti joined the Department of Computer Science and Engineering at Lehigh where his research examines fundamental algorithmic and systems-related questions in pattern recognition, bioinformatics, and security. Dr. Lopresti is director of the Lehigh Pattern Recognition Research (PatRec) Lab. On July 1, 2009, he became Chair of the Department of Computer Science and Engineering. Effective July 1, 2014, he assumed the role of Interim Dean of the P. C. Rossin College of Engineering and Applied Science at Lehigh. An outgrowth of the Sociotechnical Cybersecurity workshop series and previous Cybersecurity Task Force, the Cybersecurity and Cybercrime task force works to identify ways to combat cybercrime and configure best practice for cybersecurity in an increasingly connected world, not solely focused on technical interventions, but also concerned with sociotechnical and economic factors. This is a new task force – membership and scope subject to change.